(David) That is the debri from the volcano outside that window. (Gloria) The first sign of trouble, a dark plume of the ash spiraling into the clear blue sky. More than 200 hikers on Japan’s Mt. Ontake just before noon on Saturday. When the volucano erupted, this hiker who often posted youtube capturing the moment they turned deadly and dark. (Gloria) Officials warned another blast could send borders up to 2.5 miles from the crater. Survivors are making their ways through a moonscape, carpeted in thick ash nearly 2 feet deep in places. Mt. 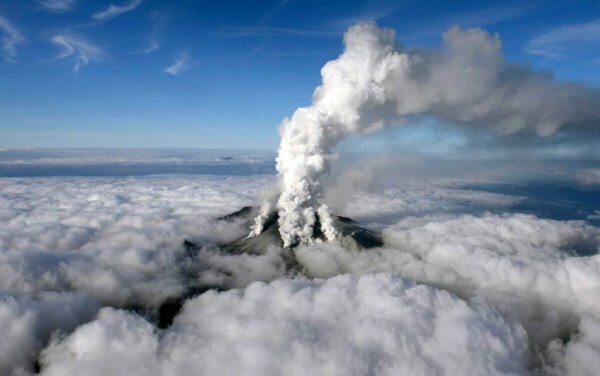 Ontake is just the one of some 450 volcanos that make up the ring of fire in the Pacific Ocean, responsible for 90 percents of world’s valcanic eruption. a local police spokesman said.